Today was an unusual back to school for me. I did go to school today. I was delighted to see last year's kids - lots of hugs all round. We caught up on lost teeth, new clothes and summer fun. And I introduced them to the teacher who will be taking my place while I am on leave until January 2014. During the past couple of weeks, I helped get the classroom ready, and I have been thinking a lot about the building of a classroom. 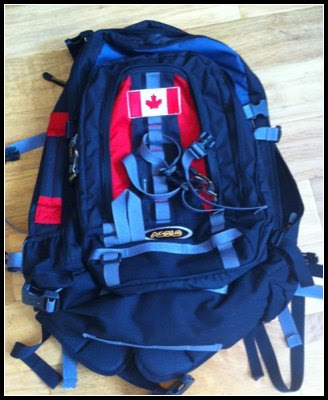 I also pulled out my backpack from the back of a storage cupboard to get it ready for a 3 month adventure. We have Lonely Planet guides on the coffee table and on our (new - bought for the adventure) ipad mini. Destinations have been chosen, flights are booked (have been for months) and hostels are booked. Now we have a huge to do list and I have a small pile of clothes that needs to get smaller. I have heard that I will have a stow-away in my pack. 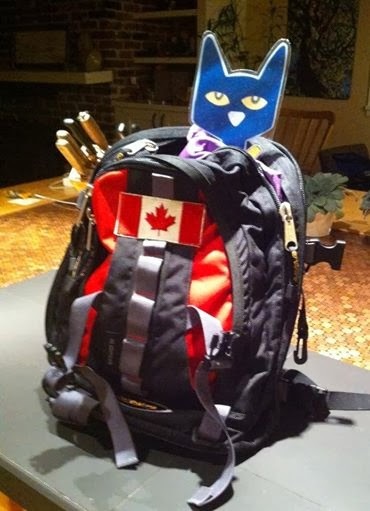 Pete the Cat is plotting how he can come along and join our adventure. Six more sleeps, and then it is first stop, Iceland. So jealous! Glad you are taking Pete and all of us along?! I was wondering if you'd pop in yesterday. Good for you. So excited for our--I mean your-- trip! Tell us everything!! 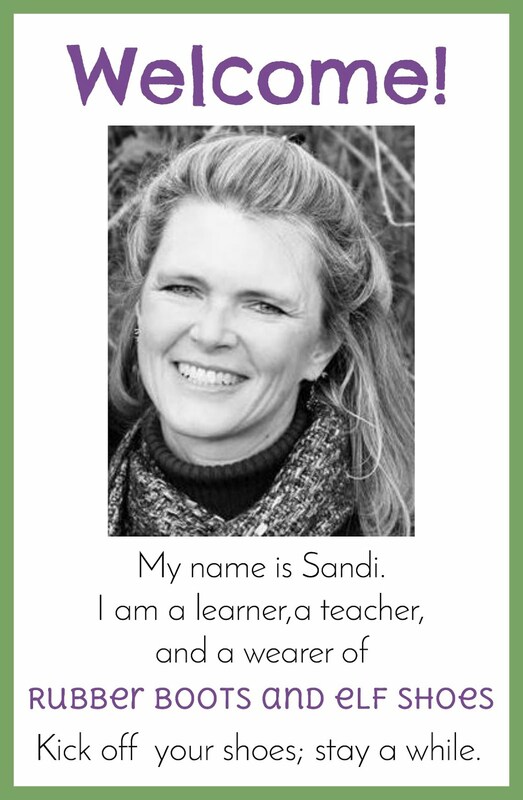 Sounds awesome Sandi ! 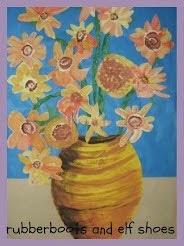 Have a great time !